I just have to show you my beautiful new leather handbag from Cellini. 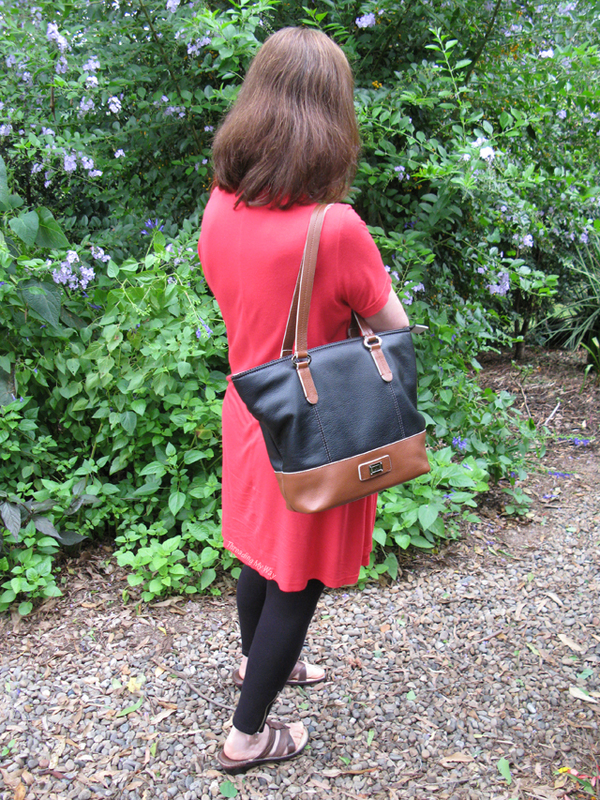 You may remember a post I wrote late last year, asking for your help with a leather handbag I had purchased. 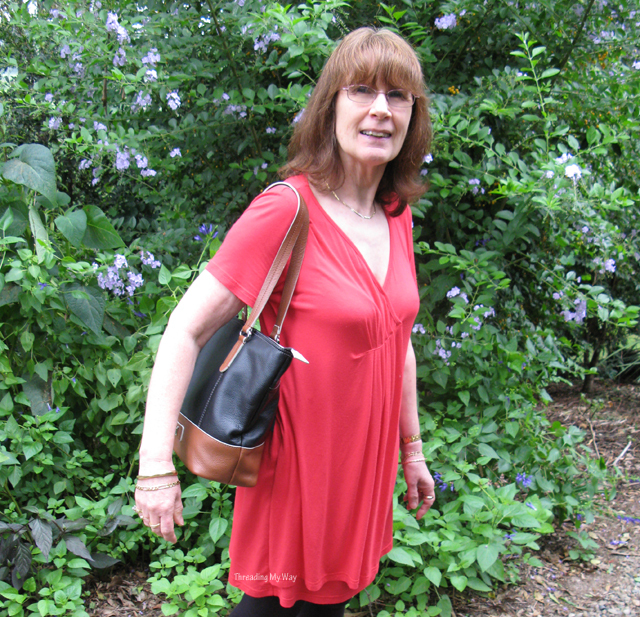 It was a lovely, roomy, brown leather handbag purchased at a factory outlet. "There's a problem with the lining, however. The dye comes comes off on the contents of the bag. I have never had this happen with my old Cellini bags, or with any other handbag, for that matter..."
"... What would you do? I really would value your opinions as to how I can make this bag usable again." Having purchased the bag at a factory outlet, I didn't think I'd be able to return it and was looking for ways to redo the lining. Almost every commenter suggested I contact the manufacture and so I did. At no cost to me, I returned the bag. There were a few emails back and forth. The guys I emailed could not explain the reason why there was a problem with my bag as they had never seen it happen before. One suggestion was that I may have purchased a sample bag. Apparently these are often made from materials available only in the sample room. Whether my bag was a sample or not, and regardless of where I bought it, Cellini have honoured their warranty and replaced my bag. The style I had originally purchased was no longer available, and so I was able to choose another from their online store. 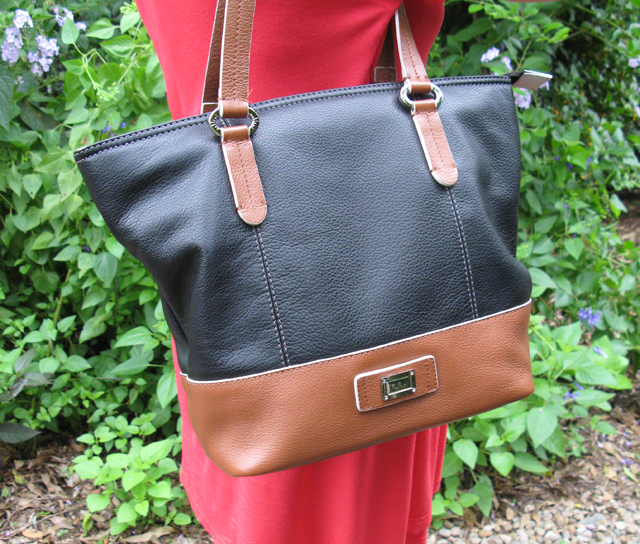 I chose the “Altona” double handle shopper tote. How refreshing in this day and age, to find a company that is so easy to deal with if there is a problem. The two guys I emailed were both extremely helpful and friendly. They immediately accepted the problem after seeing the bag, honoured the warranty and replaced it. Thanks to everyone who suggested I contact the manufacturer. If you're after a new bag, I can highly recommend Cellini. I know this one won't be my last. Excellent result all round Pam! Oh what a great result and positive experience. Yay Pam, I'm so glad that it has all been resolved! That is a really cute bag. Good service!!!! I'm happy for you, now you can fully enjoy your bag, this bag is nice-looking. I had been wondering what you decided to do. ;) Sounds like Cellini is a great company who really stands behind their products!